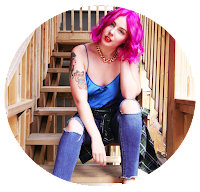 I'm all for taking short-cuts to make life easier, yet some of the 'hacks' and DIYs that circulate the web have me scratching my head. Why anyone would want to turn their husband's old boxer briefs into a sports bra is beyond me. Though the odd suggestion can peak my interest, most of these shareable Pinterest ideas have my inner skeptic rolling her eyes. You might have won me over with the mug cake in the microwave, but I'm not melting down a crayon to make my own lipstick. Sorry 'bout it. 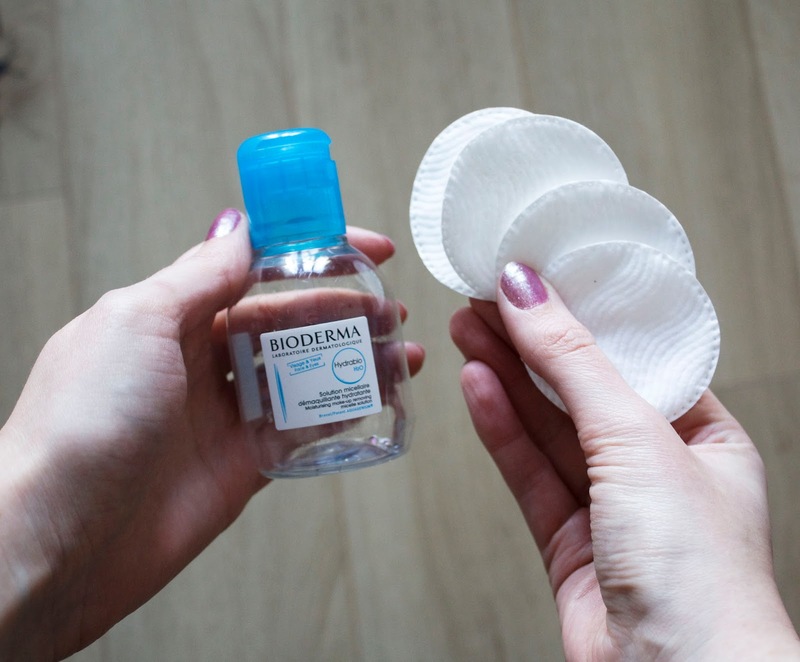 Salty boots & micellar water? Trust me, it's a magical pairing. During my daily Twitter scroll, I came across a viral tweet that blew my mind. 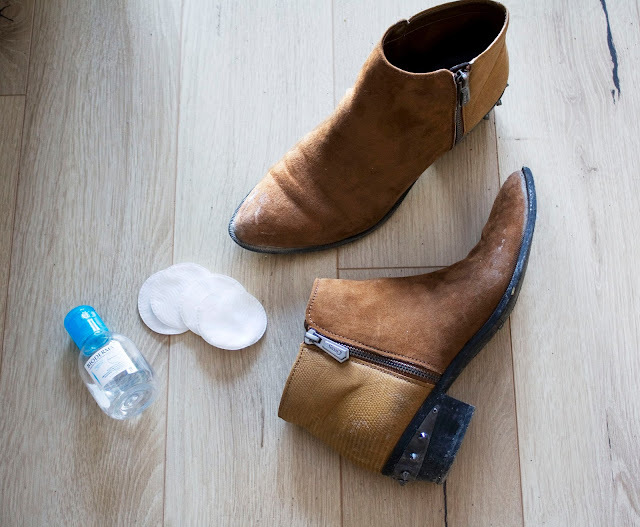 Apparently micellar water can be used to remove salt stains from suede shoes & boots. It seemed too good to be true, but I had just enough Bioderma Sensibio H20 (my personal favourite makeup remover) left to give it the ol' college try. My poor, sad, salty boots. I've betrayed them. My boots were saltier than my Monday mood, and desperately needed some TLC. That's what I get for not protecting them with suede spray! I scored these Sam Edelman's for super cheap during Sears liquidation, and figured if they lasted one season I'd be content. Needless to say, I've been wearing them non-stop and regret not giving them a fair shot at surviving the winter streets. Lesson learned for next time, but for now I was willing to take a risk at reviving them. I simply took a cotton pad I soaked with micellar water, and gently wiped away (with the grain of the suede) to remove the salt stains. Well folks, it works! I was amazed at how easily the crusty salt stains were wiped away. No scrubbing necessary! In some spots I did have to hold the pad in place for a few seconds to really soak it in; I was a little concerned that I may have used too much micellar water at first, but once the boots fully dried they looked as good as new! Good as new! I'm still in awe at how well this hack worked. Now to douse these with suede protector spray. 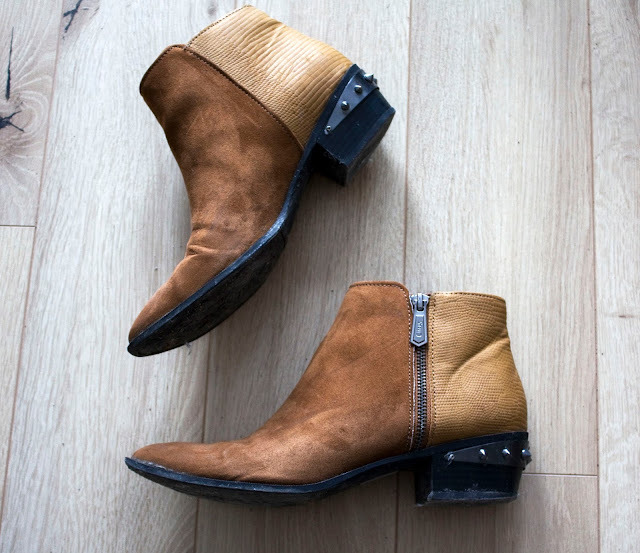 I even used this technique on a pair of faux leather boots, and found the salt spots wiped away with ease. I've used vinegar in the past, but the smell is just horrendous to me. This is a much more nose-friendly alternative! The moral of the story is this, folks - don't judge a hack by it's cover! And take good care of your shoes! 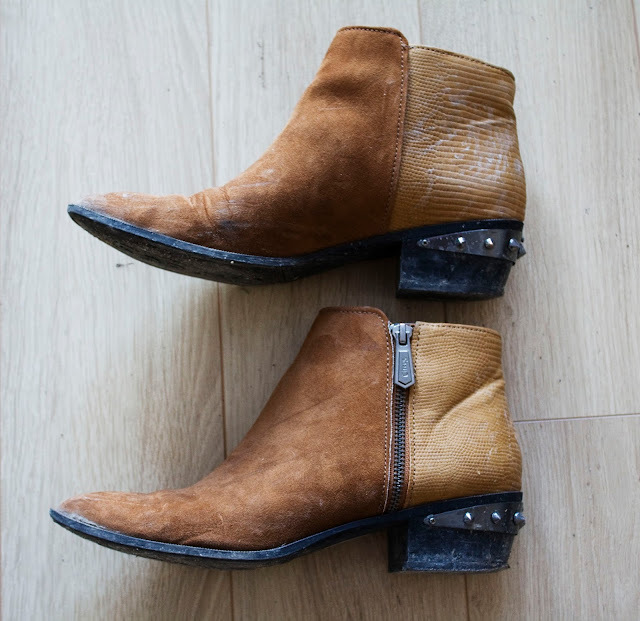 Have you tried this method to revive your boots? What are your favourite time-saving tricks? Tell me in the comments! Like this hack? Don't forget to pin it to your board!